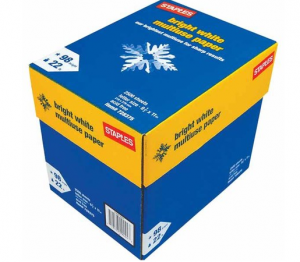 Staples: Awesome Deal on Printer Paper (Starting Sunday)! Final cost: $2.10 for both! If you’re not currently a Staples Rewards Member, now’s the time to sign up! You’ll earn 10% back in rewards on all ink and toner, case and ream paper, and Copy and Print Center services.